Charles Profitt, in his recent post Ubuntu: Time to Take the Shot, talks about a meeting that the Community Council had with Mark on Tuesday. This followed a weekend of me doing everything in my power to step back from the recent announcements and discussions from Canonical that made my Thursday and Friday very difficult. the air because all of a sudden we’re so uncertain about timelines. Since last week I’ve stopped working on anything that depended upon the release cycle because I feel like I’m completely wasting my time. I use myself as an example here, but there are many folks in the community who are feeling this. Regardless of what’s happening behind the scenes at Canonical to cause this, it’s currently a very painful time to be a community member. Now, perhaps my words were a bit harsh, but as a community member watching these discussions and talking with others all weekend, that is how it feels. A rolling release proposal throws into question all the release-dependent work I have on my plate and whether I should be continuing that, like helping the docs team with their onboarding process and working with translations teams to continue their work. I’m not aware of discussions with either of these teams about how the rolling release proposal will impact them (though with Mark’s encouragement, I have asked). “It would appear that Canonical has a chance to create or provide an amazing ecosystem of digital devices that are integrated as well, if not better, than Apple. I feel they are making the right decisions to support that goal. Frankly, I support this. I believe that this is a transitional phase. The community as it has existed is changing, going through a metamorphosis, and a new community, one perhaps more potent and powerful, will develop and break out of its cocoon, ready to dominate the world. Posts by Thierry Carrez, Andrea Grandi and Pasi Lallinaho this week have echoed what Scott says about the changing of the platform. And it seems the writing has been on the wall for quite some time, Jono’s own team has shifted from supporting community efforts within the core development framework (from MOTU to translations) to focusing on application developers. This is not the Ubuntu community that I became a recognized member of in 2007. Is the vision of success defined by Mark (Ubuntu on all the things! Desktops! Phones! Tablets!) the same thing I believe in and want to continue moving forward with in my open source endeavors? If so, where can I continue to contribute where the impact of surprising announcements won’t render my work less valuable (or useless)? But the first step is communicating to the community that this shift has occurred and not pretending that we’re still the same community we always were. We need to know to ask ourselves these questions so we can be prepared for what the future brings and advise new contributors accordingly. So tonight I had dinner with fellow Community Council member Scott Ritchie. The conversation over tacos was not for the faint of heart, and I was still feeling quite demotivated over these recent developments. We then took a walk and ended up at a smoothie shop, which is where we got to brainstorming how we make this better. What we came up with was a need to get a clear picture of what Canonical brings to Ubuntu and what Ubuntu depends on the community for. No more pretending that everyone can work on everything on equal footing, or that we all have the same values and goals. Obviously changes like moving to a rolling release will impact the schedule with which these are done on, but I believe a discussion will take place because of how important these things are. And most importantly, strong community members in all of these areas still have the opportunity to make an impact, make a name for themselves in the community and get very serious, important work done. We decided over our respective tea and raspberry smoothie that the Community Council should work to draft a document that helps direct community members to these areas where their work is most valuable. We should also engage Canonical in a discussion about where they are putting their effort and I hope through these discussions we can also find solid core development tasks that community members can reliably participate in without risk and where they will find value, whatever their open source motivations are. As a Community Council member I do feel like I’ve let the community down for not realizing what was happening to the community sooner. The duo of optimism and trust is not always a strength, it blinded me to some serious truths about how things have changed and our responsibility in this new community dynamic. I am, however, committed to fulfilling my duties within the Community Council to help shepherd community members through this. I hope you will join me, but this is a change of direction and I absolutely understand the decision to move on, this week I certainly was leaning in that direction myself for the first time since joining the Ubuntu community. This entry was posted on Wednesday, March 6th, 2013 at 11:04 pm and is filed under tech, ubuntu planet. You can follow any responses to this entry through the RSS 2.0 feed. Both comments and pings are currently closed. Glad to hear that you are not leaving the community. I admire the work ethic and energy you bring to the local Ubuntu community in the Bay Area. It would be a huge loss if you left. Thanks for posting this. There are many voices rumbling. And its interesting the items you suggest are still paths to contributions(testing) and which are not (like software development). If there is going to be a ‘new’ community, you’re in that place to help figure-out what it is and how to get people involved. Hope SABDFL takes this chance to dialogue with folks in your position and state a clear message/vision about the path forward for ubuntu contributors who feel left-out by the current plans. Very well written Liz. Thanks. Albeit busy in this period, I was thinking about my position in the community and in the Community Council, and as me, I know that other Italian LoCo team people are in the same position. I agree with the view of others that Ubuntu is changing: I witnessed it myself at UDS, in particular during last one. But this is a trend that was going on since a couple of years already. Writing a document to help people focus their forces is a good idea, but I think we should first draw the line between Canonical and the Community. We need to understand first where that line is, and only based on that we can provide help. Right now, to me, that line is blurred. The Ubuntu ecosystem is changing, the community and its focus will change, and where we can help will change too. As an example, considering what is most close to me: do we know if translations for the mobile platform will be done by the community? Will Canonical trust the community on that? They already used paid translation services in the past, and only later provided access to the community. The mobile world is big, fast, there are a lot of players, and Canonical will have to close deals with hardware manufacturers that will ship Ubuntu on phones/tablets/TVs. Will they use/trust our work? The same can be said about documentation: those devices are different from our old desktop/laptop computers. Documentation there is usually provided by the manufacturers or by who’s going to distribute the product. The help system will have to change and adapt too, or it will not be done by the community. To me, these are the kind of questions I would like to have an answer. There’s definitely much more to talk about and to take into account, also in the Community Council. Thanks for sharing this post with the community. I wish others on the community council see what you do. That being said I think we really do need to have a dialogue and I think thinks has changed a lot in just the last two years and the changes seem to keep coming at a faster pace and with less involvement of the community. Many of us contribute untold hours each year and we all want to know our contributions are valuable and that the community as a whole is still a stakeholder in Ubuntu having valid input and some level of decision making. There are certainly other CC members who are very on board with this, I think I may have just been the one making the most noise (which is unusual for me). I think value and stakeholderness are the two keys, most of the community members I work with do this as volunteer work because they care about Ubuntu and want to have a positive impact. That’s why I feel so strongly about identifying important tasks where people can still take a lead and become known for their role there. We need someone to take over coordinating translations in Ubuntu. There is a serious need for a committed Docs lead in Ubuntu right now (and in Xubuntu too :)), the people who have filled that role are terribly overworked. This is the most sensible and solid blogpost i have seen for the last week. I thank you as a Ubuntu member. thanks for writing this up. It’s well-written, honest and describes quite well how the events of the last weeks/months(?) must have made you and others feel. * Nick supports the QA/Testing community. This is a new role which I see as part of the “core framework”. * I still work with people who develop Ubuntu. Some parts of my work might be related to bringing Ubuntu Touch developers into the fold, but I see this as “core framework” as well. In some initiatives I helped Michael and David with work on the apps front, but that was just because there was so much to do. * Jono encouraged us all the time to factor LoCo teams into our work and help where we can. If I did a good job, I’ll leave to you to decide. * There were many initiatives and events like UDS where people like Michael had to suddenly put lots of effort into making things work pretty quickly. Having a lively apps community and cloud community is important to Ubuntu and setting it up is a lot of work as well. If I read your blog post correctly you seem to say that it’s not possible to work on Ubuntu on an “equal footing”. I feel this should be part of a longer discussion. What was clear from the start was that if you worked on Ubuntu for a company and were able to spend more time on it you were much more in the loop than others, ie you could make it to meetings, follow mailing lists, be on top of changes of trunk, etc. If decisions are wrong, I firmly believe they’re contestable and that you can get involved. In the list of things people can contribute you don’t list “development” or “app development”. Is there a reason for this? Thanks again for writing this up and let’s see what we can improve and fix! That is very concerning. How much notice that Michael Hall really have to put together vUDS? This feels like haphazard internal management more than anything else. It was actually Chris Johnston who did most of the work, with help from Adnane Belmadiaf (daker). And yes, there wasn’t a lot of time to do it in, but that was the fault of optimism than mismanagement. The desire was to do the first vUDS early enough that we had time to improve things before the next one in May. As a community member it honestly didn’t feel good to have one week notice. When I was on the DMB, it was supposed to be clear that app development was upstream development, not Ubuntu development. Maybe this changed after I left, when it became clear that some upstreams are more equal than others. Development is tricky for me right now, since I fear that a contributor working on Gnome for Ubuntu would have been jolted by Unity announcements, one working on XOrg and Wayland would be put off by Mir. Plus, a lot of people want to be part of the excitement and collaboration around creation, they don’t want to start hacking on 9 month old Mir. That’s why I hope discussions with Canonical can tease out some areas where Canonical isn’t going to make a big announcement and there is still space for developers to create their own things. App development is an uncomfortable one for me. First of all, how are these app developers more part of our community than any other upstream (echoing Maco’s comment)? And why are we working so hard to get stuff packaged for them, but not other open source packages – which almost 2000 Debian RFPs exist for (more if you count orphaned and RFHed)? I’d argue that submitting the RFP in Debian is the more correct procedure and then your software gets into all Debian derivatives! Everyone wins! The practical side of me realizes the reason we’re working so hard is that app developers want an Android/iOS type developer portal to submit apps just to Ubuntu. I wish there was some other way. Really? It doesn’t look that way to me. Maybe on the issue of rolling releases, but on the bigger points about open governance, not at all. I recall the big community disgruntlements in 2008 and 2011, too. But I’m surprised by a mass disgruntlement that’s the result of openness. Rolling release is a well-thought proposal, but it’s not policy. mir is a great start, but it’s just a start. I applaud Canonical for opening those ideas early in their developement, and encouraging participation at UDS. Virtual UDS is another change I applaud, and I think once we get the kinks worked out will encourage a lot more community involvement. I don’t think the community has a real reason to be disgruntled – earlier opening of projects, more participation opportunities, and opportunity for pre-decisional access to projects were *exactly* what the community demanded in 2011. And exactly what the community received over the last two weeks. There has been a lot of speculation and rumor since the community isn’t actually used to dealing with pre-decisional openness. I think there is an opportunity here for community members and the Community Council to help dampen the speculation, rumors, and uncertainly. To see if the Technical Board needs/wants help compiling community input on the upcoming decisions. And to help provide feedback and training to highly-technically-skilled engineers who may be quite surprised by community response to their somewhat unpolished proposals. Virtual UDS may or may not provide greater access a Jono Bacon asserts. I’d say it provides greater “read-only” access but curtails “read and write” access almost entirely (see Lawrence Lessig’s “Free Culture for an exploration of this idea). I have to say I’m very disappointed with this development and I believe it signals the final end of any illusions of meaningful input by the “Ubuntu Community” to Canonical. Canonical is openly calling all the shots now. There are some advantages to this Apple-like proprietary approach, but it is truly enemical to the spirit of FLOSS. This is the first blog post I’ve read about Ubuntu since I quit over a year ago. Now you see where my burnout came from. The persistent response that “Canonical can’t be excluding the community, because Canonical ARE the community” I got when I tried to bring stuff like this up didn’t exactly inspire confidence. I switched from Ubuntu to Kubuntu after the first time I saw work that was done based on a UDS decision (and therefore that design decision as well) get thrown out on Mark’s whim. I have to admit that I also saw the trend of UDS becoming less valuable because so much was already decided (or decisions made elsewhere, in private, would make the public UDS discussions inconsequential). That was never fun, it wastes everyone’s time. I’d much rather be able to provide community members with an honest picture of where their time is valued, where Ubuntu still needs them to fill a role Canonical cannot. In our 2+ hours of chatting last night, Scott brought up the point that in some ways it probably means our community is more mature. No longer do a few dozen people grab a bunch of sandwiches and a few rooms for a week and say “ok, this is what we’re going to do for the next 6 months” – the plans on longer term and there are now serious businesses involved (beyond Canonical you now have major desktop and server OEMs, handset makers, major users like Google, etc). All that said, it’s still no fun for community members who miss those sandwiches and planning all the things days, particularly when it’s hard to see that those days are over and the relationship is changed. Even worse, there are people who would tell us that the relationship hasn’t changed and everyone can still work on everything. The guys who pays gets to call the shots. 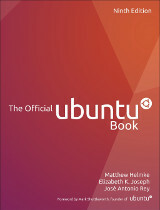 For you and many others, Ubuntu is, or ought to be, a community. For Shuttleworth, it’s a business that needs to turn a profit. As a user, I don’t have a stake in this game, save for wanting better software. But, those who have made another kind of investment in Ubuntu need, perhaps. to look more clearly. Without making judgements, just more clearly. Not only am I convinced that Mark cares strongly about the community, he really believes in Linux and Open Source. The vision is still a successful, open source option for everyone from desktops to phones. Ultimately it’s what I want for Ubuntu too, the only question was whether I felt I could still be a part of that vision as a community member and I came to the conclusion that I can. I am not familiar with the “ubuntu community” concept; got sucked into the discussion. I have been a linux user for many years and the recent events interest me. As the OP said, the user’s perspective ( also mine) is very different from others. I do not know if ubuntu/linux users are considered part of the ‘community’ but if they are, they clearly make up most of the community, even if they do not contribute much. They also tend to be the least vocal members of such community. What users like me want is for the vision of canonical to unfold as stated. I am already getting attracted to chrome books but I figure it would take more effort to set them up the way I like them ( installing linux apps on chromeOS for e.g.). Many have moved on to OSX. All for the same reason- though we have made a lot of progress in the last 10 years ( I remember the days when I had to compile modem and sound card drivers) the rate of progress has not caught up with the changing marketplace. That has not gone unnoticed by users as well as businesses who use OSS as their foundation. I take your point that Mark Shuttleworth is not purely profit-driven. The point that really disturbs me about his behaviour is his lack of receptivity to input from the community, and his failure to ever really truly apologize for any of his off-putting statements and arbitrary actions. I hope he “gets it” soon because he could be such a force for good if he comes around on these two thigs. Hang in there, Lyz. You have done a fantastic job thus far, and the community may need you more now then ever. Good luck in the future. I guess coming from a community distro perspective I’ve always found Ubuntu (and other distros with corporate backing) a bit difficult to grasp. I get that Mark has a vision, and that a big corporation with lots of money and people all moving in the same direction can deliver on that vision a lot better than a lot of people all doing their own thing. However, the big thing that can get lost in all that is the spirit of community. When I interact with developers and other members of the community in the distro I use, there is a shared sense of vision that brings us together. Sure, we disagree on elements of that vision, but there is still an underlying unity. Chances are the thing we build will never appeal to the masses, but that’s OK – it appeals to us. A few get paid to work on it, but most likely most never well, and that’s fine too. I’d find it difficult to work on a distro that was so strongly influenced by a central contributor (in this case a corporation). There is just so much risk of investing a lot of your soul into it and then realizing that your contributions are essentially expendible the moment that contributor decides to move in another direction. Of course, that can happen with community distros as well, but without any kind of central leader these distros tend not to drift. Mark might say they tend not to go anywhere either, and in some sense that might be true. But, if you’re happy where you’re at, moving isn’t always a good thing. Thanks so much for your thoughtful response, Lyz. We need more calm consideration and helpful attitudes like yours. The problem is not simply that Canonical is a commercial entity, or how this generally influences choices. The relationship of RedHat with Fedora is workable even given this, as one example. The real problem is entirely in the dishonest and deceptive way Canonical in particular chooses to relate to it’s community, whether in imposing fixers and favoritism, or by ignoring it completely. Does Virtual UDS get around the past problems of backroom dealing and explicit control over who even gets to speak or what they are permitted to present in many tracks? Or are these problems now also virtualized? I happily work with several folks at Canonical in a very honest way, but I do agree that they sometimes do seek to push “everything is always equal!” when that really isn’t the case, and I really wish they’d be more honest about that. As for vUDS, I’m pretty sure vUDS does a worse job of making sure everyone is able to speak. I rarely had a problem in a physical UDS room getting a word in from the back of the room (exceptions tended to be when there was a particularly strong character in the room who insisted upon talking over everyone). With the vUDS sessions the core speakers are defined prior to the session by the coordinator and everyone else is only able to talk in IRC. I haven’t attended vUDS yet (short notice, and I have a day job) so I’ll be able to speak more to it once I do in a few months. Am currently at the BerkeleyLUG Mtg sitting near Grant Bowman. You recently Tweeted @configX Also, Maine represent! (I grew up just outside of Portland). You also wrote above in your post …if you do you risk the carpet being pulled out from under you in the form of some new announcement that causes all your plans and work to be less valuable (or useless).. These two writings remind me of two relevant anecdotes; one a New England seafood joke and the other a recurrent theme in Charles Schulz’s Peanuts comic-strip. The recurrent Peanuts theme is the infamous (Football gag). The characters involved in the gag are Charlie Brown and Lucy van Pelt. Lucy tells Charlie Brown that she will hold a football while he kicks it. Charlie Brown usually refuses to kick it at first, not trusting Lucy. Lucy then says something to persuade Charlie Brown to trust her. Charlie Brown runs up to kick the ball, but at the very last second before he can kick it, Lucy removes the ball and Charlie Brown flies into the air, before falling down and hurting himself. The gag usually ends with Lucy pointing out to Charlie Brown that he should not have trusted her. pleia2, I sincerely hope that you will never figuratively “get scrod” by “having the football pulled away at the last second” through being taken in by Canonical’s ever-changing assurances! This kind of in-house (profit focused) decisions is the main reason for my government (and many others) to make derivatives instead of using pure Ubuntu. I totally support your line of reasoning here and appreciate the courage it took you to convey these things to Mark Shuttleworth in conference with him and to the world in your blog post. Thank you for your service to FLOSS! Yeah Pleia2! Entries (RSS) and Comments (RSS). 30 queries. 0.127 seconds.